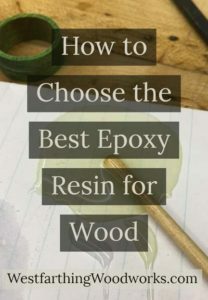 This is How to Choose the Best Epoxy Resin for Wood. There are a lot of different types of epoxy in the world, and sometimes the choices can be overwhelming. Follow these tips, and you will have a much easier time. Enjoy. Woodworkers love epoxy. Anytime that you need to glue nearly anything to nearly anything else, epoxy is the product for you. As long as it’s a solid surface, the product will bond almost any two materials together. The bond is also incredibly strong, and difficult to break even under stress. Where specialty glues and single purpose glues fail, epoxy works every single time you use it. There’s a lot less to worry about, and you know that the resulting bond will be nearly unbreakable. For all those reasons and more, you should be using epoxy. So how do you choose the best kind? There are a lot of variables, but to make it easy all you really need to do is to follow the few steps that are coming up. Get these few things right, and the rest will work out. You’ll get good results, and you won’t have to worry. Don’t trust your epoxy to just anybody. In order to get off on the right foot, start with a brand name product that you recognize. In the beginning however, it might be hard to recognize any of them. That’s OK, as a beginner you may not know. 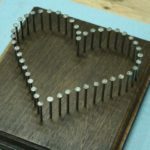 The way to solve that problem is to ask other woodworkers, or do an internet search and see who comes up the most often. YouTube videos or another good solution, because the people in them will demonstrate the product and you’ll see which one they are using. 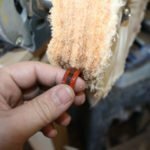 Odds are if the majority of woodworkers are using the same product, that it’s good. This is a great indication that you’re on the right track. 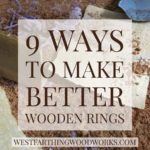 Most woodworkers will discard a product that’s not very good, and they will find something else. 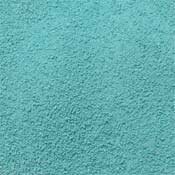 Epoxies are no different. If you’re on your own, then find a company with a good track record. Long-standing companies that have been making epoxy for a long time are the best choice. They’ve been in the game the longest, and they’ve had years to get there formulation right. Some of the newer companies may be good, but they are still improving. This is the danger in going with an off brand or a brand that you don’t recognize. This can manifest itself in a weak joint, or a joint that falls apart down the road. Nothing against new or companies, but when you’re going to trust your woodworking project to an adhesive it needs to be reliable. One of the hallmarks of reliability is a track record, and companies that of been around for a while tend to stick because they’re doing something right. Maybe there’s already brand that you are familiar with? 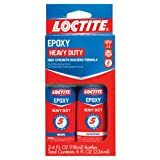 In the case of the five-minute epoxies that I use, Locktite as a brand that I’ve known for a long time. It was very natural for me to try their product and give it a little bit of trust right at the beginning. Since I already had a relationship with the company, it didn’t take me very long to pick up their product and try it in my shop. 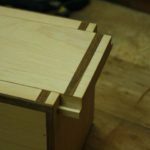 I was very pleased to find out that it worked very well, and has since been my go-to for quicker glue up’s. If you don’t have a brand that you trust, don’t worry. You could always do a little research as explained earlier, and find a brand that other people trust. This is almost like taking a poll, and you can benefit from the experience of others at this point. 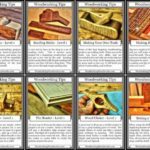 Another way to go about picking the best epoxy you can use is to find out what professional woodworkers are using in their shops. This can be as easy as visiting their website, or sending them an email. 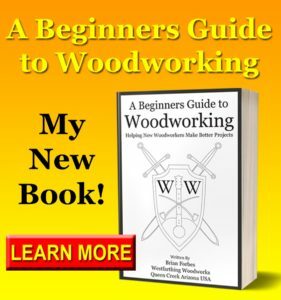 Search for some woodworkers, and woodworking companies that have been around for a while, and just contact them according to their website. This may be an email, or contact form, but many of these places will answer question. Some professional woodworkers, myself included, are still excited when we receive an email from somebody that thinks highly enough of us to ask a question. It makes us feel good, and we love to help. Get your answer on your epoxy that way, and you’ll have a very good start. You may end up with the exact product you use for the rest of your career. That’s awesome, because it’ll save you a lot of experimentation, and broken heart. Once you know who you’re buying from, then it’s next to decide what you’re buying. 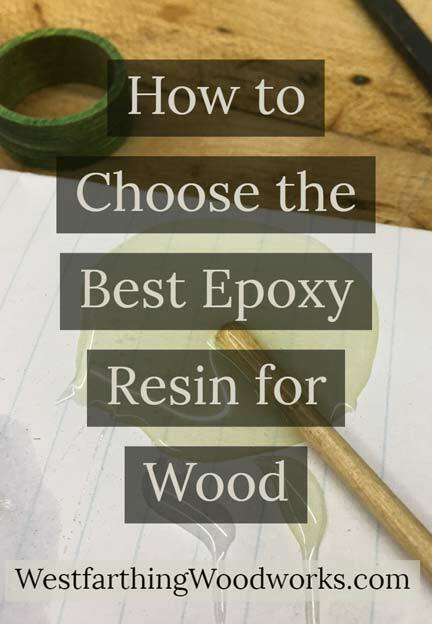 It’s important to buy an epoxy that works well for your project, and depending on what you’re making, the type can vary quite a bit. 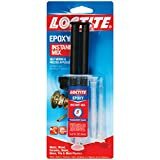 For example, if you’re making quick joints between pieces of wood, and you don’t need a lot of assembly time, then five-minute epoxy is probably your best choice. It mixes easily, sets up quickly, and you can move onto the next joint quickly too. It’s not going to cure that much faster than some of the other types, but since you don’t need it to remain a liquid for a long time, you might as well get the initial sticking power so that way your clamps don’t slide around. If you are doing inlay work, and you need a slower setting epoxy, then look for that when you make a purchase. Some epoxy stays liquid for 60 minutes, and that can be a long enough time to get the job done. Working with that type of epoxy, you can even do several pours over a span of an hour, and still get good results. Some of these do take a little longer to cure, but that’s the trade-off for getting that extra open time. 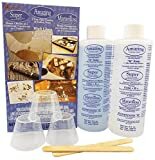 What other thing to consider is whether you are mixing anything with your epoxy. Additives and mixtures tend to add time to the process. If this is the case, then make your selection based on needing extra time. For making inlay mixtures, a 60 minute epoxy is always a good choice. Sometimes it’s just hard to get everything mixed right in under five minutes. You actually have to do it in less time than that, but it’s still hard. With a longer setting epoxy, you can make your initial mixture, and then see what it looks like. At that point you can make adjustments, take another sample to check the look again, and you’ll still have time to refine the mixture if needed. Different epoxy products have different properties. Depending on what you’re making, they may be extremely important, or they may not be important at all. If they are important however, they will be very important, so it’s good to pay attention. The number one property that you will be looking for in most cases is the color of the epoxy when it is cured. For most, there is going to be a pinch of yellow in the look. For others, it can be so clear that it looks like water. If you were making joints with the epoxy, and using it more like glue than anything else, it probably won’t matter if the epoxy has a pinch of yellow tint. It’s going to be inside the joint anyway, so it shouldn’t make a difference. However, if you were doing inlay work, or resin casting a piece of wood, then the clarity can be extremely important. If this is the case, then make sure to select a product that cures totally clear. You’ll be glad you did, and it’s worth the extra cost. The following tips and tricks will help you become a better user of epoxy. Once you select the best epoxy for your particular project, these tips will help you successfully use it. Only make as much as you need. Use a mixing cup and any clean stick to mix it together. Make sure that you add the correct amounts to the cup according to the directions. Mix thoroughly, and avoid chopping so you don’t add air bubbles. Air bubbles aren’t bad if you’re using epoxy has an adhesive. Air bubbles are really bad if you’re doing inlay work or casting. For adhesive work, coat both sides of the joint before clamping. For inlay work, slowly pour the product so it coats all the way to the bottom. Store the project somewhere level while the epoxy cures. Allow the full cure time, otherwise it may not be ready to work. If you get any on your body wipe it off immediately, and clean the area. Now that you know how to pick out the best epoxy for your woodworking projects go take a look at what’s available. There’s plenty of choices online, and you can find exactly what you need without standing up. 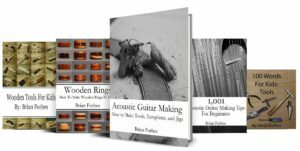 Get a product or two and try them out in your shop. Until you actually get your hands on the product and work with it yourself, you’ll never really know what it can do. You’ll also never fully appreciate until you start using it. Once you start using epoxy on a regular basis, you’ll wonder how you ever did without it. The product is amazing, and it is literally like a magic connection between almost any two types of material. Bring some home, and give it a shot. You will love this new adhesive, and you will find many reasons to use it. Happy building.